DC on TV 4 New Shows Based Off DC Characters Coming Next TV Season. The CW is assembling the Justice League…..kinda. 2 key members of the legendary comics team is set to go back-to-back on the network. As we all know Arrow, is a hit of a show and I recommend watching it. Coming up next is the show’s spin-off of sorts with the most famous fastest character in all of pop culture. The Flash. The show was already a lock to go for next season, but it has now gotten the green light to run. 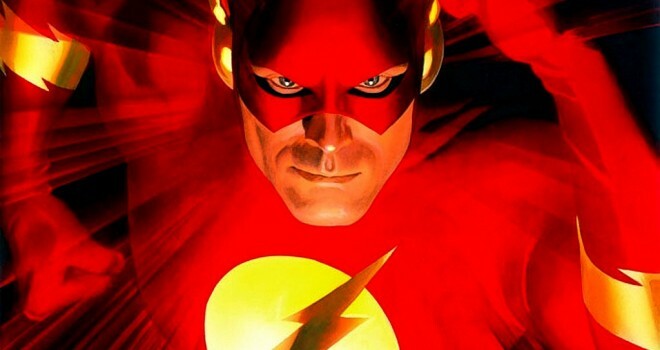 This will be the second ever live-action adaptation of the fastest man alive. Warner Bros has done a Flash show back in 1990 which is really good. To bad it only got one season. A real shame. The network has also picked up another DC published work that I’m unfortunately unfamiliar with. iZombie. Which is about a med student who hides her undead nature by working at a Coroner’s Office, where she has access to the brains she needs to feed on – brains which, grants her access to the corpse’s memories and voices in her head which can only be silenced by solving the murder cases connected to those people. Based on the wildly popular comic book series “Hellblazer” from DC Comics, seasoned demon hunter and master of the occult John Constantine (Matt Ryan, “Criminal Minds”) specializes in giving hell… hell. Armed with a ferocious knowledge of the dark arts and his wickedly naughty wit, he fights the good fight — or at least he did. With his soul already damned to hell, he’s decided to leave his do-gooder life behind, but when demons target Liv (Lucy Griffiths, “True Blood”), the daughter of one of Constantine’s oldest friends, he’s reluctantly thrust back into the fray – and he’ll do whatever it takes to save her. Before long, it’s revealed that Liv’s “second sight” — an ability to see the worlds behind our world and predict supernatural occurrences — is a threat to a mysterious new evil that’s rising in the shadows. Now it’s not just Liv who needs protection; the angels are starting to get worried too. So, together, Constantine and Liv must use her power and his skills to travel the country, find the demons that threaten our world and send them back where they belong. After that, who knows… maybe there’s hope for him and his soul after all. The cast also includes Harold Perrineau and Charles Halford. Writer Daniel Cerone (“The Mentalist,” “Dexter”) serves as executive producer with David S. Goyer (“Man of Steel,” “The Dark Knight Rises”). “Constantine” is produced from Bonanza Productions in association with Warner Bros. Television. The show is based upon characters published by DC Entertainment. Finally, there is Gotham. This show is being produced by FOX and takes place in the Batman universe. The show revolves around a younger Commissioner James Gordon protecting Gotham years before Bruce Wayne ever becomes Batman. In fact, Bruce Wayne will be in the show as he is recovering from his parent’s murder. I assume that just like Smallville’s finale, in which Clark turns into Superman, Bruce or Batman will show up in some form in the finale.